From their website: "Jean, a lonely woman, answers a dead stranger's cell phone and finds herself thrust into a magical adventure. 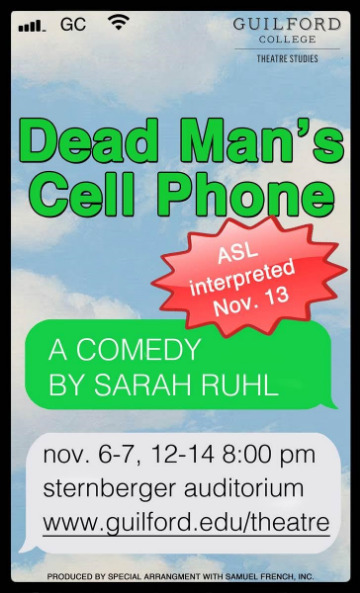 From Sarah Ruhl, one of the American theatre's most original voices, comes the comedy the New York Times called a blending of "the mundane and the metaphysical, the blunt and the obscure, the patently bizarre and the bizarrely moving." *Friday, Nov. 13 performance will be sign-interpreted. *"